​Member of Provincial Parliament 1967 - 1977. 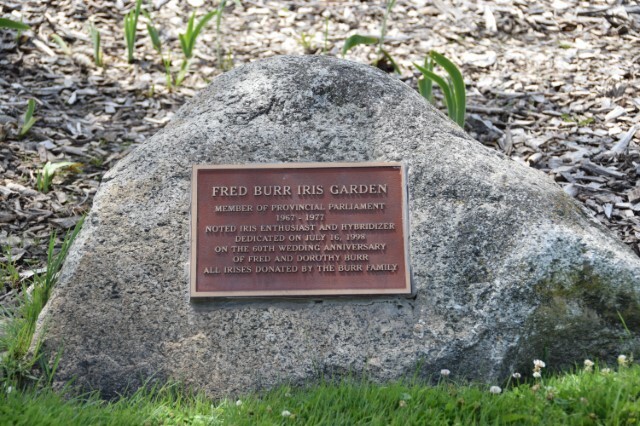 Fred Burr was a noted iris enthusiast and hybridizer, and all irises in the garden were donated by the Burr Family. Dedicated on July 16, 1998 on the 60th wedding anniversary of Fred and Dorothy Burr.